You know what I can't stand about packing to stay away from home? Having to bring 40 different chargers to power all of my gadgets. Camera, smartphone, tablets, laptop, etc. - and they all use a different chargers. It seriously drives me nuts. 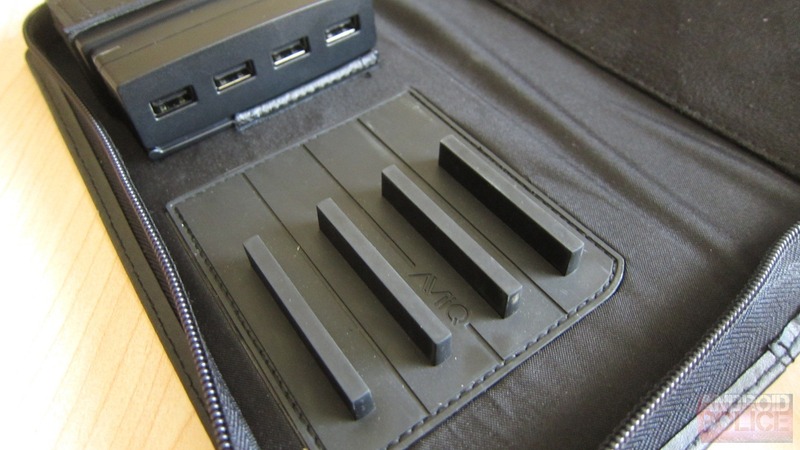 Then I heard about the AViiQ Portable Charging Station ($99, direct from manufacturer), which combines a cable management system with a USB hub and a single charger for charging up to four devices at once. Could this finally be the end to my age-old quandary? 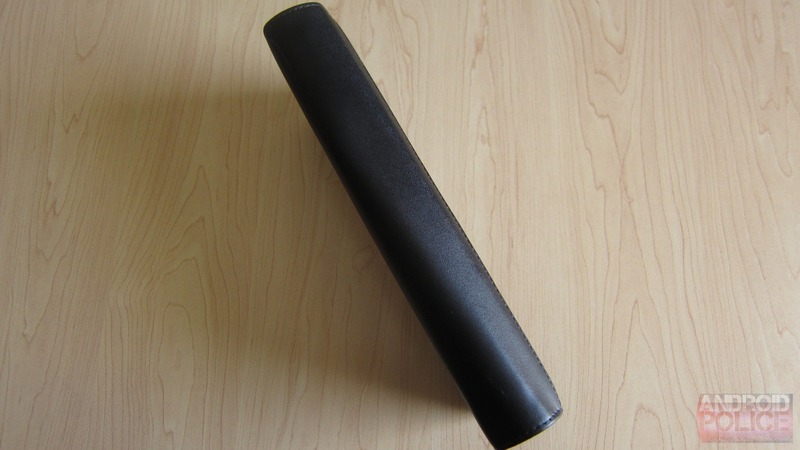 Before I get into details, though, let's take a look at the product itself. 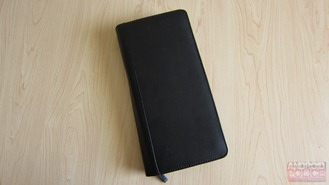 Since it's designed to be a portable charging station, it comes in its own self-containing leather carrying case, which measures about 10" x 5" x 1.5" and weighs around half a pound. It isn't as small as I'd hoped it would be, and it actually takes up a decent sized chunk of space in a backpack. One it's opened, though, the benefit becomes apparent: it's all about organization. Since I generally try to live by the "a place for everything and everything in its place" motto, organization is something near and dear to my heart. 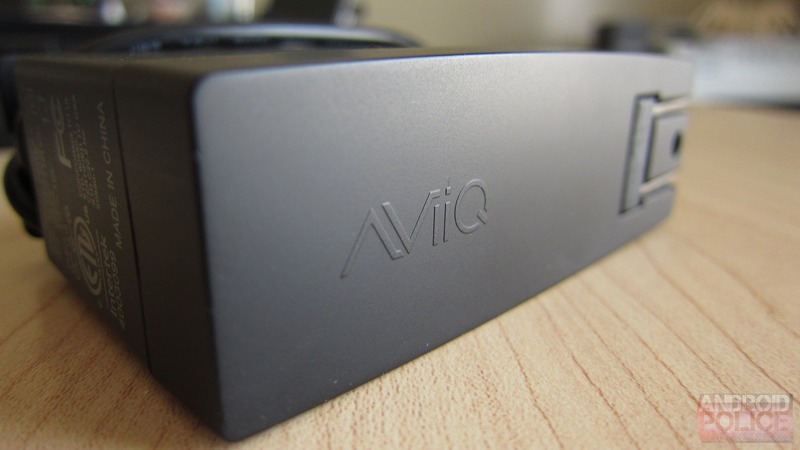 In that respect, the AViiQ charger delivers. 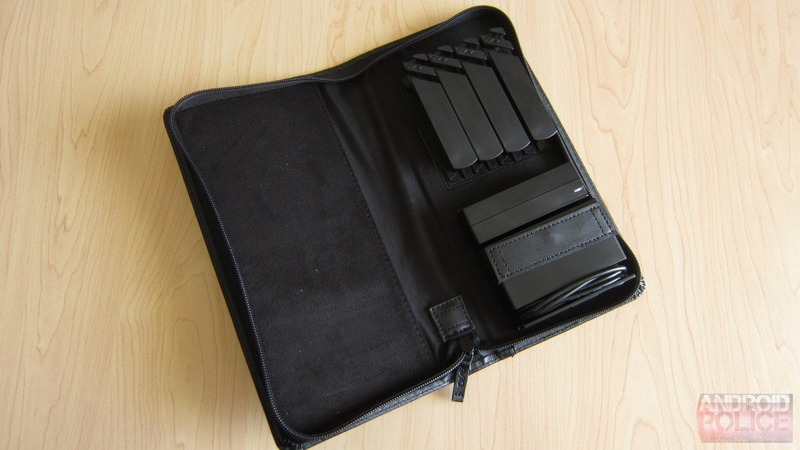 It features four cable organizers, all of which are removable for easy syncing and charging. 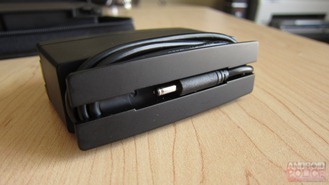 Below that is a removable four port USB charging hub, which lines up perfectly with the cable organizers. Good design. 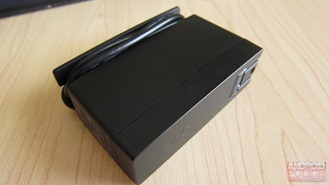 Lastly, the package contains the charger, which just so happens to be quite massive. I guess that's somewhat understandable since it will be doing most of the heavy lifting when it comes to keeping multiple gadgets juiced up all at the same time. Sounds great, right? That's what I thought, but nothing is as good as it sounds. That's not to say that the AViiQ charging station is bad - but it's definitely not what I had hoped for. First off, organizing the cables is a bit of a pain. I had to wrap, re-wrap, and re-wrap again each cable to get the length just right. Once it's on, though, no big deal - or so I thought. Once there are multiple cables wrapped around the management system, they can become quite tightly packed, making them a bit difficult to remove. Since I do most of my syncing over Wi-Fi anyway, that's not a massive deal to me - but something that should be considered if you rely on a single cable to sync and charge. 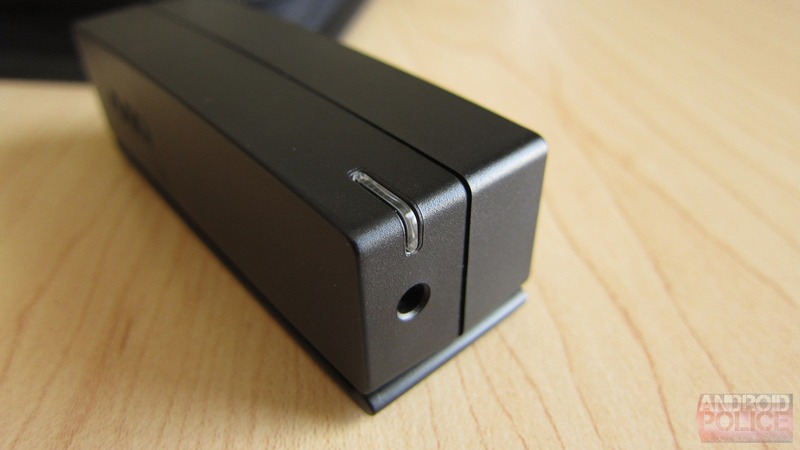 Once everything was all neat and tidy, I removed the humongoid plug, unwrapped the cable, and plugged it in. Did I mention that the wall charger is huge? It's huge. 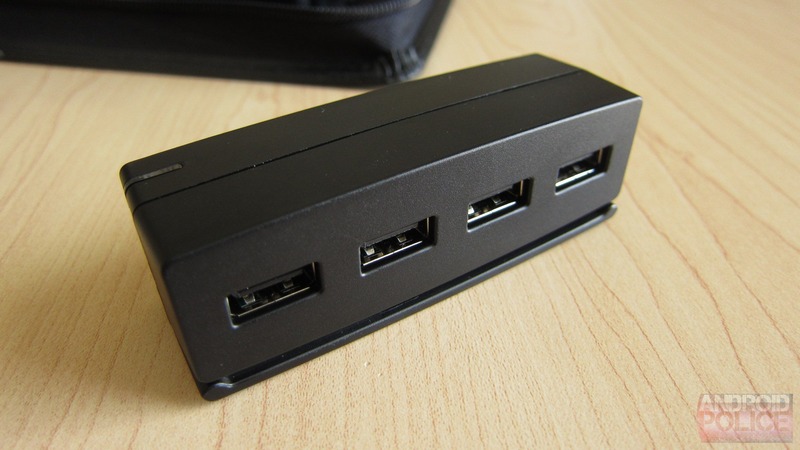 Again, though, it gets a pass because one huge charger is better than four smaller ones. One by one, I began plugging device into the oh-so neatly organized cables. 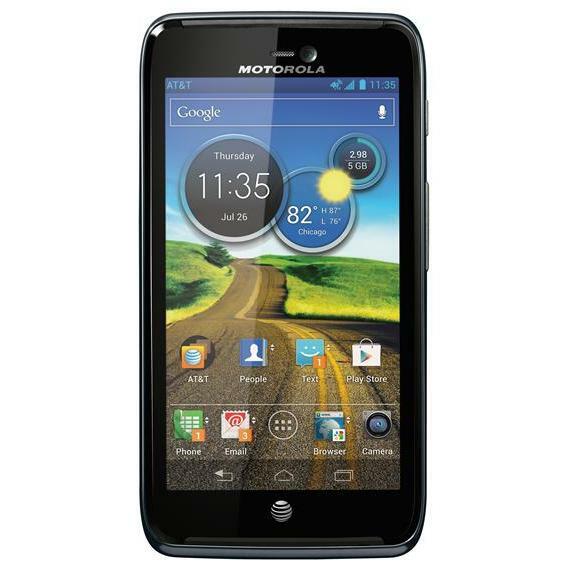 First, my smartphone - an LTE Galaxy Nexus - which started charging immediately. Then, my TF300, which did nothing. I checked the connections, and they were all good. It just simply wouldn't charge the TF300. So I grabbed the Prime, and again, got nothing. Turns out that it won't charge any of the Transformers because they require a 15v charger, and the AViiQ is only 5v. Bummer. Fortunately, it managed to charge up most other tablets that I had a chance to check, and I know it will charge the iPad/iPhone/iPod, too. So, ultimately, it does what it says it will do - for the most part, at least. Would I recommend this product? Maybe. 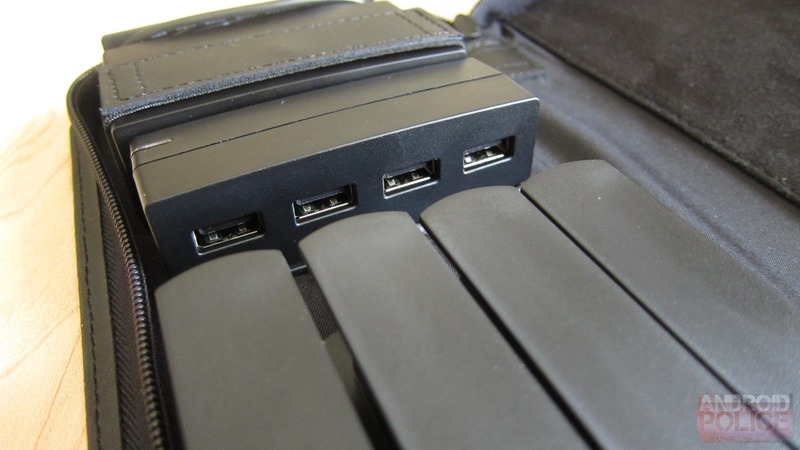 Here's the thing: if you carry multiple devices and are tired of stuffing multiple chargers in your bag, then it's a solid, highly organized solution - so long as it works with all of your devices, that is. Once it's all set up, it basically stays that way, making it quite hassle free. However, I do recommend taking a look at your existing chargers to see if the device requires more than 5v; if so, this charger probably won't work for you. 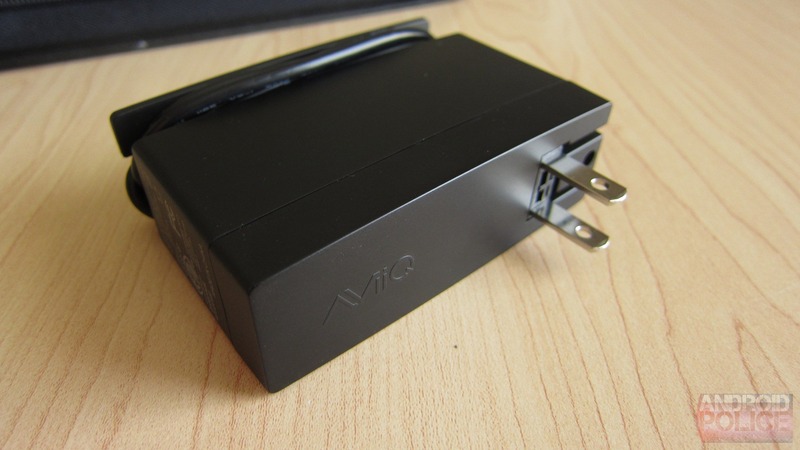 At $99 (or $79 with a nylon case) this isn't the cheapest solution in the world, either; fortunately if you pick one up and it doesn't fit the bill, AViiQ has a 30 day return policy.